The Norse gods were worshiped over a very wide range of space and time. Rock carvings and artifacts in Scandinavia dating back to over 1, 000 years BCE show what we could call “reverse echoes” of the Norse gods. The conception of the gods hadn’t yet evolved into the characters we’re familiar with as Thor and Odin and the rest, but you can see common symbolic elements such as the sacred chariot, sun wheel and axe or hammer. Conversion to Christianity began in England around 600. Sweden, the last heathen holdout, converted around 1150. 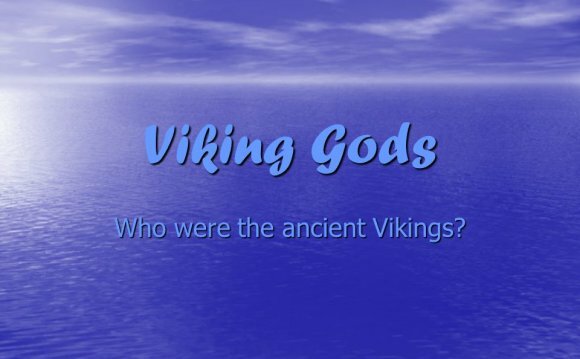 As the various Germanic tribes migrated over time, the gods moved with them. We have evidence from literature, archeology and place-name analysis that shows local variants of Norse religion throughout the continental German lands, Scandinavia, the northern islands and the British Isles. The World Tree is a poetic concept in Norse mythology that serves as a symbol to connect the Nine Worlds of gods, men, elves, dwarves, giants and the dead. It’s related to the Germanic concept of the Warden Tree, a tree that guards your homestead. A farm would have a Warden Tree to protect the household, a temple would have a tree that protects the community. By extension, Odin’s hall (Valhalla) has its own Warden tree, and the world itself has a tree – this symbolic World Tree that connects the different realms of the various inhabitants of the world. There’s a wide range of sources for what we now call Norse mythology. There are Latin writings by Julius Caesar and Tacitus that describe the religion of the Germanic tribes that came into contact with the Roman Empire. There are texts by Christian writers during the Conversion Era that discuss heathen beliefs. There are sagas and histories written by Icelanders and Danes that record tales of the gods. Snorri Sturluson was an Icelandic author who compiled a book called the Edda, which is sometimes translated to mean “Poetics.” This book was not written to record religious belief or describe religious ritual. It’s really a poetry manual. With the coming of Latin learning and continental-style prose writing after Iceland’s conversion to Christianity, the older art of traditional poetry was dying out. Icelandic poetry was largely based on metaphorical allusions called kennings, which referred to characters and events of Norse myth. In order to understand the poetry, the audience had to know the mythology very well. Two centuries after conversion, this knowledge was fading – and so traditional poetry was becoming difficult to understand. Snorri wanted to record the myths in a systematic, orderly way so that his contemporaries could read and write in the older poetic style.